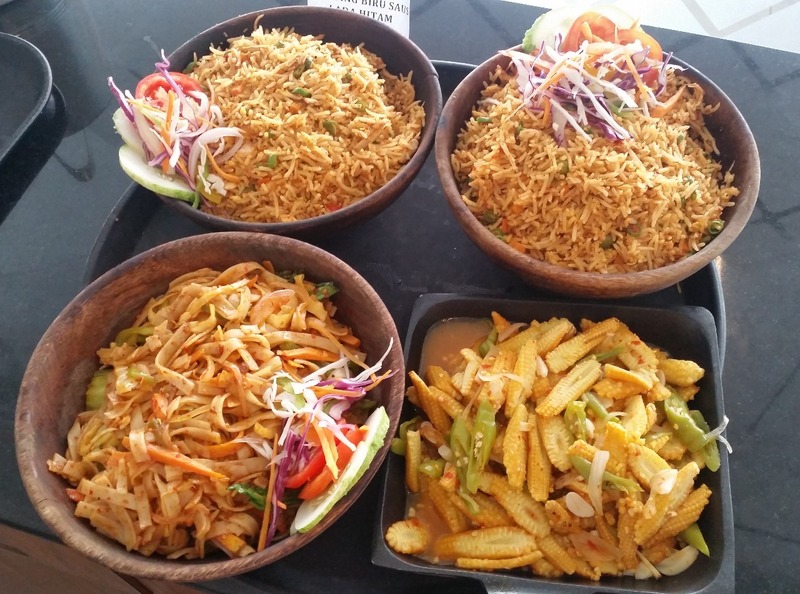 Though there was no Indonesian restaurant in Hyderabad so far, the local food lovers had basic exposure to this cuisine through some dishes in Pan-Asian places like Mekong, Mamagoto, and even Wok Republic. So, while Nasi Goreng, Satay, and Sambal had some amount of familiarity, there was no way to delve deep into the cuisine in this city. However, with restaurateurs becoming much more risk takers, much to my delight we now have a true blue Indonesian restaurant, aptly named Sambal. 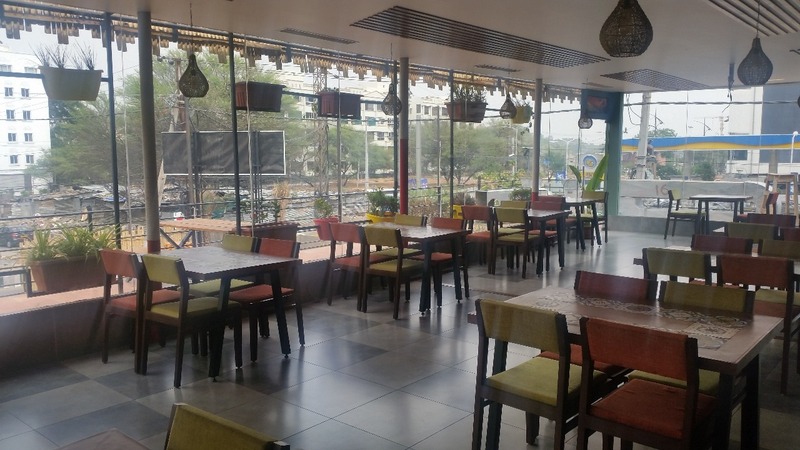 The restaurant is located on the same road as Inorbit Mall in Madhapur. The owners, who are friends, hit upon the cuisine when they went on a golfing trip to Indonesia and decided to start a restaurant in Hyderabad by flying down an Indonesian chef to curate the menu and arranging for sourcing the diverse and uncommon ingredients he needed. 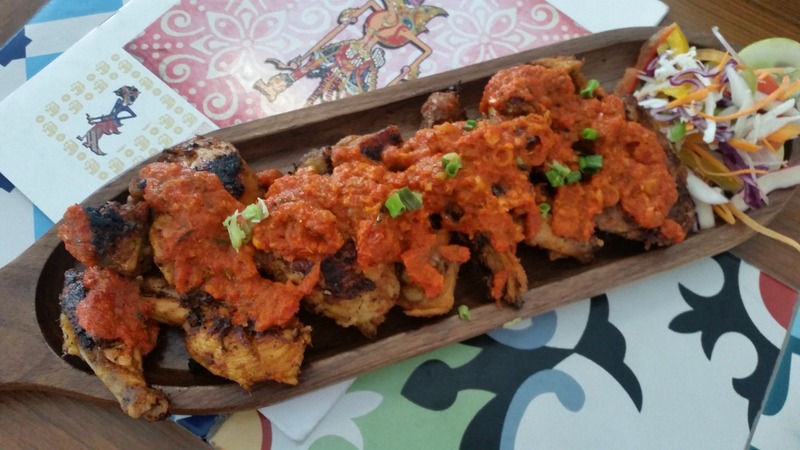 Indonesian food has a myriad of flavours. Whereas food from Java is sweeter and has more Chinese influence, Sumatra has spicy food closer to India. In the other regions, you have a cuisine similar to Malay and Polynesian. 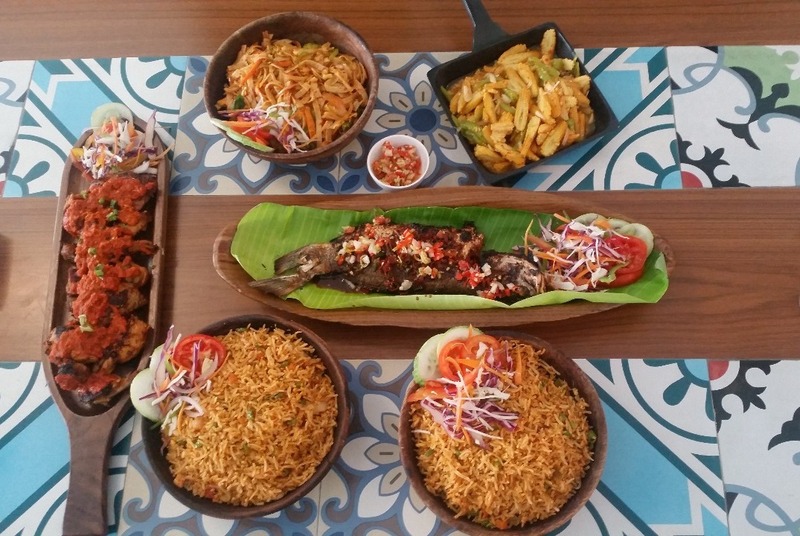 The hallmark of the cuisine is that it is extremely colourful, uses rice and noodles as the basic carbs and being a group of islands, uses abundant seafood in its preparations. Ethnic Indonesian preparations like satay and rendang are popular and have been adopted by all the neighbouring countries. On a terribly hot day, we reached the restaurant in the afternoon and were welcomed with Es Kelapa Muda, a drink made from tender coconut water mixed with jaggery and lemon. The concoction was interesting, though personally, I love my tender coconut water unspoiled by any other overbearing taste. This was followed by Laksa Sayuran, the Indonesian version of the popular broth. More of a thick vegetable soup, it had rice noodles and shredded chicken in it. This Indonesian version does not use coconut milk in it, which usually had been a staple in any of the laksas I had tasted so far. This was more of a rustic broth with abundant veggies and noodles with the chicken not adding much taste. 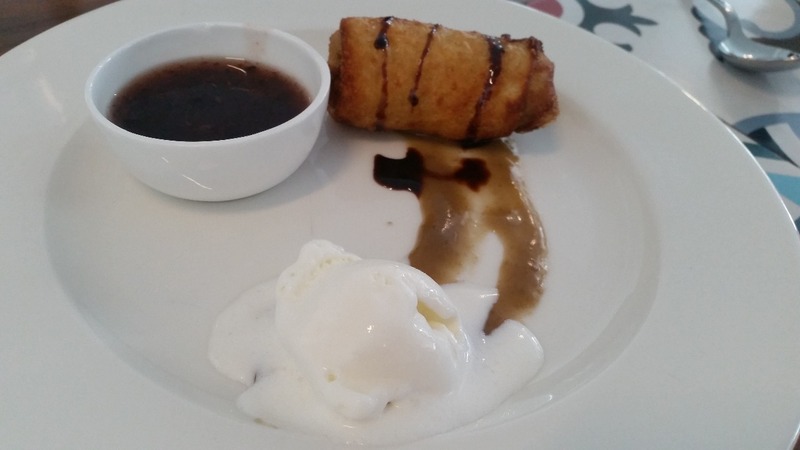 Some interesting dishes followed. 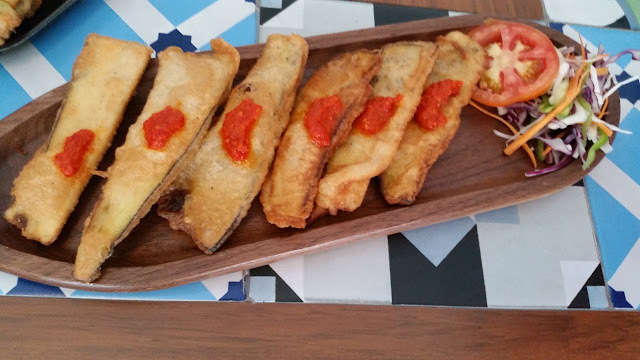 Terong Goreng or eggplant fritters served with sambal was the Indonesian version of our Bengali favourite “Beguni”. 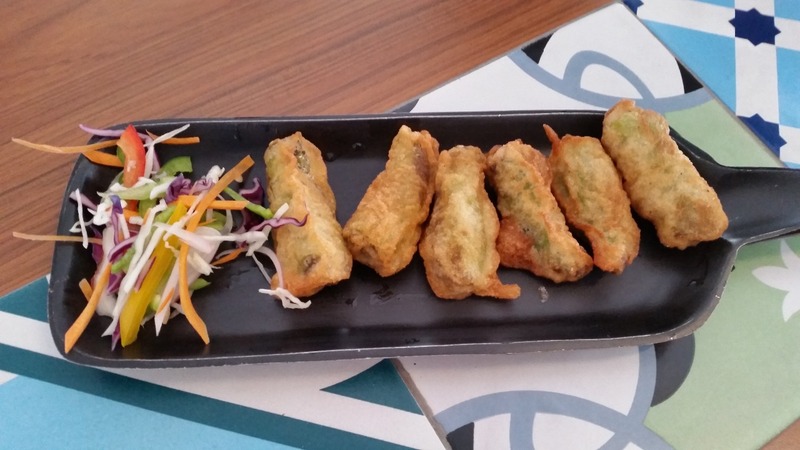 An innovative dish was Cabai Goreng where chillies were stuffed with eggplant (this was new for me) and batter fried. I liked this unique combination of the two vegetables, which set me thinking if brinjal paste can be used as a filling with other vegetables too. The Indonesian sambal went well with the fritters, I was told it is mainly chilli based. They also have another soya and chilli based sauce which is often used with the food. 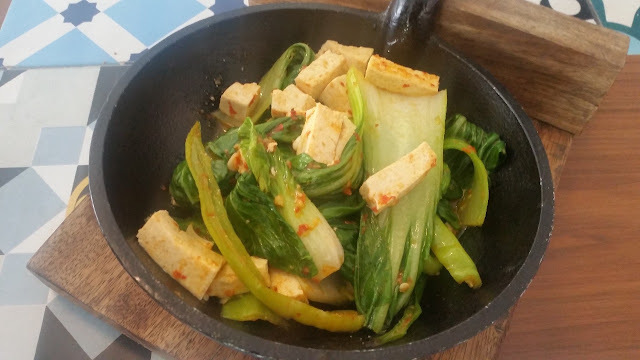 The third veggie dish, Tumis Bokchoy Tahu (Sauteed Bok Choy with Tofu) worked well even for a person like me, who is not particularly a fan of tofu. The non-veg starters had me warmed up more. Satay Pentul Kecap Manis (a large-sized satay with chicken, fish, and herbs) was the best of the lot. 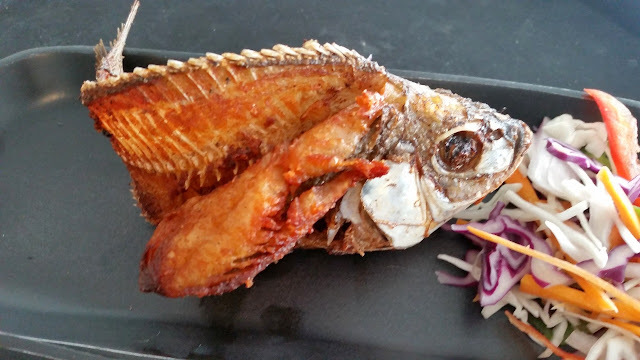 Nila Goreng had a full tilapiya fish, marinated and crisp fried, and presented very innovatively. 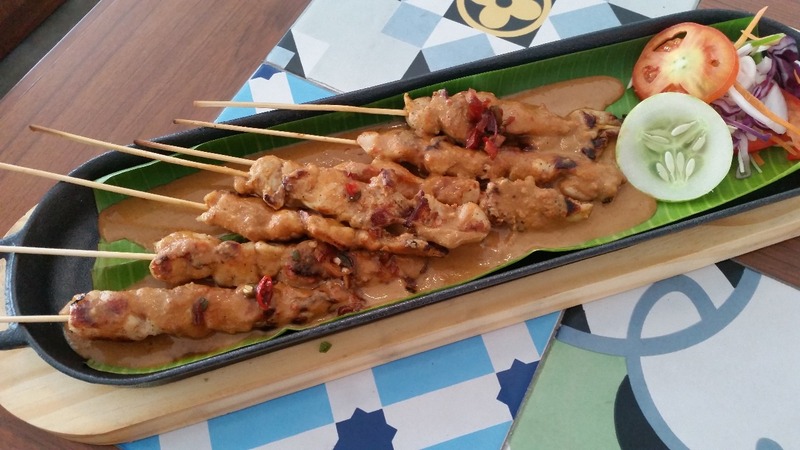 And finally, the usual Satay Ayam or Chicken Satay served with peanut sauce. 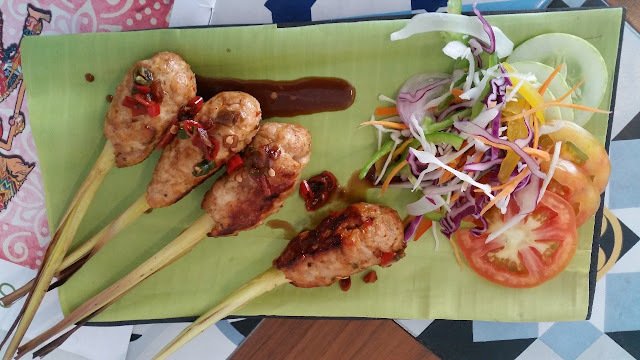 All the dishes were very colourful, and the first satay was a real showstopper for me. There were more exquisite preparations of seafood, this time in the main course. 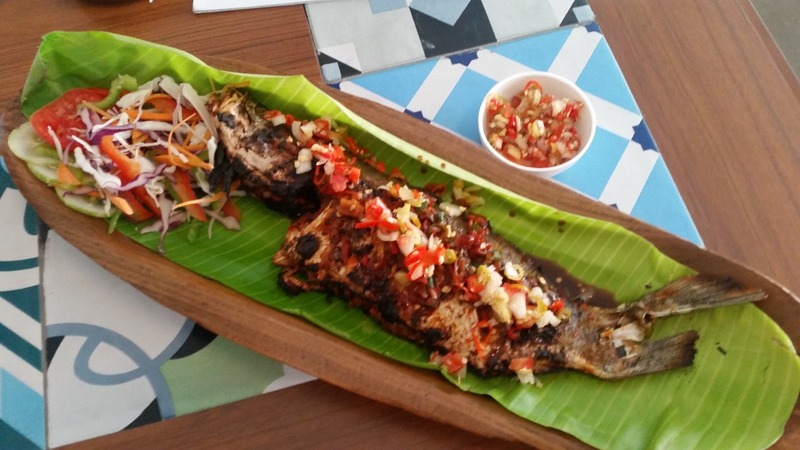 In Kakap Bakar Dabu Dabu, a grilled red snapper is served with Dabu Dabu sambal of the Sulawesi region of Indonesia. Kakap Kukus Soy had sea bass in mild soya sauce. Both were absolute delights for seafood lovers. The first would be loved by the Hyderabadis, though for the second will be enjoyed by people having a palate for subtler food. 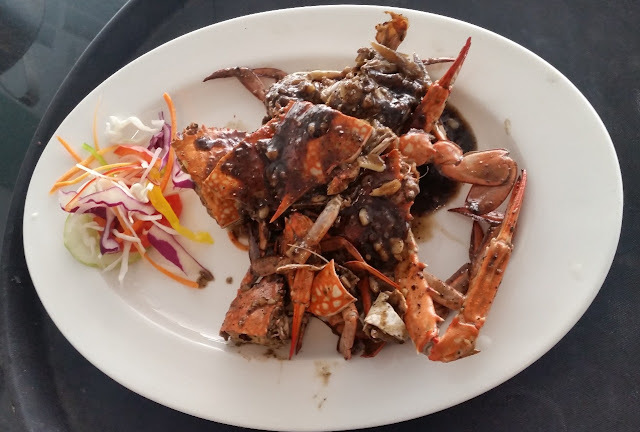 There was a crab dish Kepiting Biru Saus Saus Hitam (local blue crab in a black pepper sauce). It was decent but nothing to go gaga about. However, another crab preparation in the menu with green sambal looked more interesting. They also have Cumi Goreng, batter fried squids served with soya sauce. The main courses were served with Nasi Goreng and Mee Goreng Sayuran (vegetarian). Tumis Jagung Muda, a sautéed baby corn and tofu main course would be a good order for the vegetarians. The dessert was Pisang Goreng or banana fritters served with vanilla ice cream and jaggery sauce. Banana is a popular fruit in Indonesia and has quite a fan following there. The restaurant also makes some good Chocolate Lava Cake. I would call this place a very brave effort, given how conservative the food lovers here are. 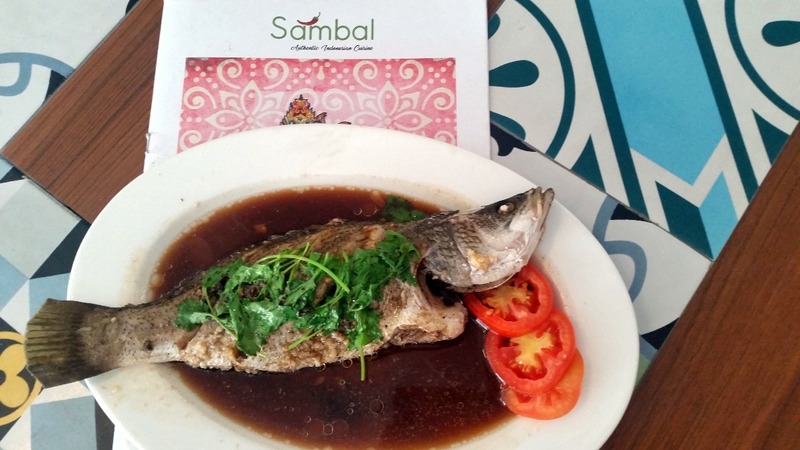 For any seafood lovers and people who like to try out new cuisines, sambal is a must-try. For others, be prepared to encounter a different kind of flavours all together and go with an open mind. For conservative Hyderabadi diners, I will recommend sticking to the Chicken Satay and Nasi Goreng.